You are here: Home / Business Support / Time for an office spring clean?! Time for an office spring clean?! An increase of visible office clutter is making it harder for workers to be productive, according to research from the University of Princeton’s Neuroscience Institute. Safety is one concern, with trailing cables and discarded paperwork causing trip or fire hazards. Office clutter also has practical implications: 57% of office workers spend an hour a day looking for missing documents, while 20% of these workers have to recreate documents they couldn’t find. * Sound familiar?! So how can you address this? 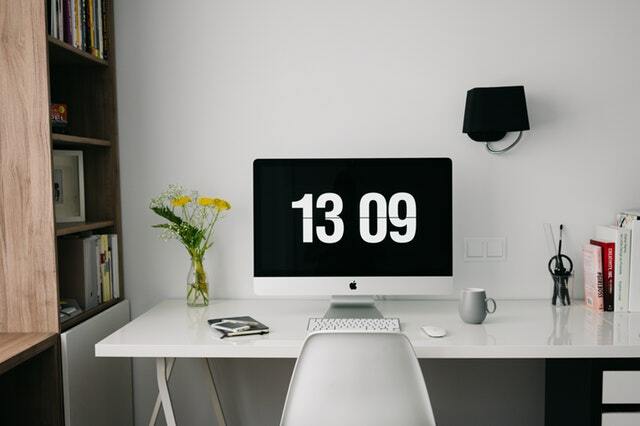 Hour Hands has some simple suggestions to keep your workspace clean and clutter free. And if you’re struggling to find the time, don’t forget that our Business Support team can do it all for you. Contact us to find out more. Start with your desk space – how often do you use each of the objects on your desk? If it’s less than once a week, then find a home for it elsewhere. Invest in some suitable desktop storage options, such as trays, drawers, or a stationery organiser, for items you use regularly. If you keep papers on your desk that you haven’t had time to deal with (is there any other sort?! 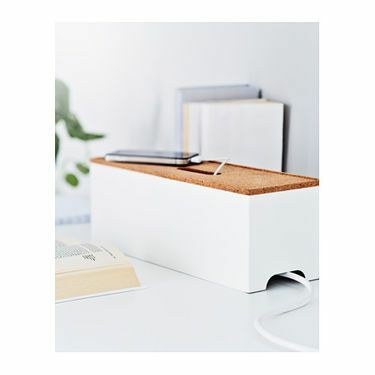 ), then allocating them to a drawer or similar storage will help to keep your desk space clear and organised. Minimise personal objects – if you operate a flexible desk space policy then this is a must. Make space for a notepad – it doesn’t need to be fancy, simply somewhere to download things that come into your mind. Jotting things down as they come to you will help you to avoid becoming distracted by these issues, and you’ll have a record when the right time comes to deal with them. Filing is one task that we all love to put off, but setting aside time for it will pay dividends. 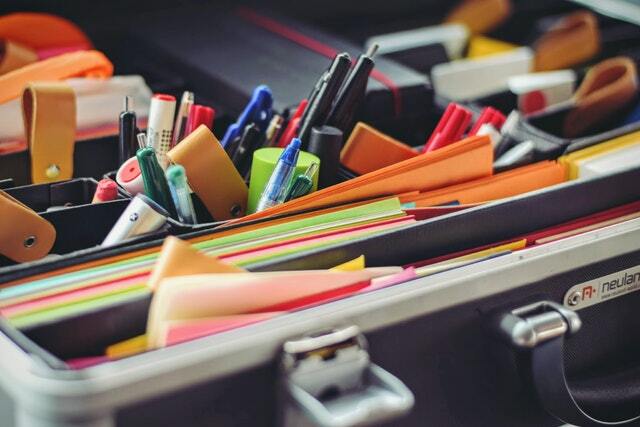 Your filing can be organised in a number of ways: colour coding is great for sorting your information by client or category, such as invoices, marketing, contracts, HR information, or other financial data. You could also consider sorting alphabetically. Label files and other storage boxes, so you know exactly what’s in them, and name files and folders in a consistent way. Store documents online whenever possible. For example, you should keep PAYE information for at least three complete years after the end of the tax year for which payments were made. This information can be kept on a cloud-based bookkeeping system. Make sure you only keep documents for as long as necessary – check the requirements for this. Use an office shredder or a reliable local shredding company to dispose of business sensitive documents responsibly. Today’s offices feature a huge variety of wires, leads and chargers of various types. Loose cables can easily become tangled and cluttered, and can potentially become a trip hazard. Use a cable tidy, such as this one from IKEA (pictured), to keep them out of the way. Make sure floors and walkways are clear of objects, and always clean up any spilled liquids promptly to reduce slips and falls.